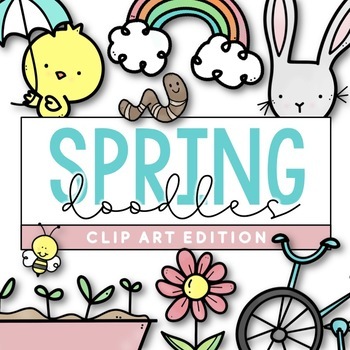 Inside you will find 30 of my favorite doodles from my Spring collection.. in color (PNG) clip art files! Doodle fonts are so fun to use but when you need to add color, they can get time-consuming! 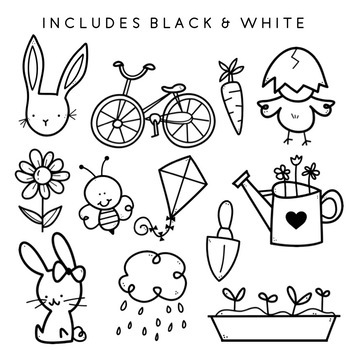 I've taken select doodles and converted them into crisp clip art images. 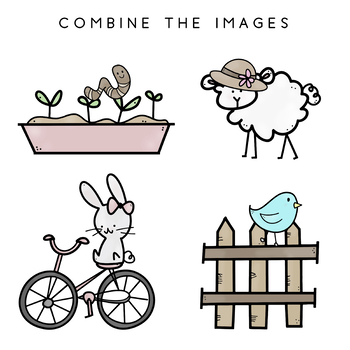 This set will save you a ton of time using the doodles in your resources! 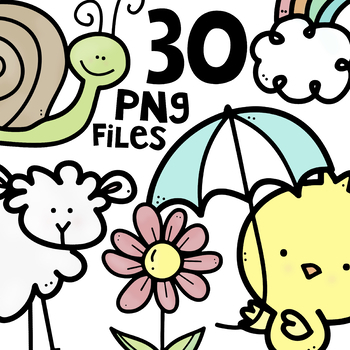 All images included are high-resolution - 300dpi png. Credit not required - but always appreciated!